In June, the Korea Herald, a leading newspaper in Korea, recognized Chadwick International as the most beloved international school with its annual Beloved Brands Award. Amongst 26 categories, Chadwick International ranked #1 in the International School Division. The award recognition states that beloved brands share three essential qualities: commitment, passion and intimacy. 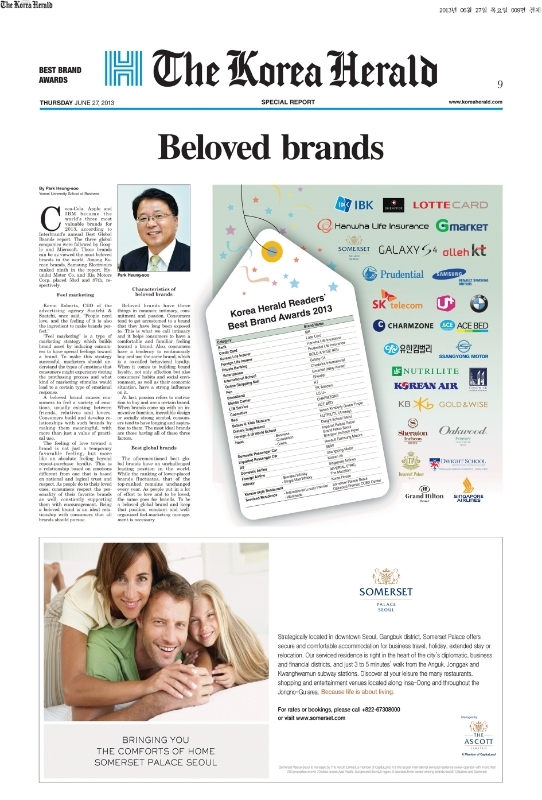 The aforementioned best global brands--including such popular local enterprises as Korean Air, Hanwah Life Insurance, and Korea House Restaurant--share, in the perspective of the Korea Herald, a stable position at the top and perceived status that will remain with on-going efforts and dedication to be loved. Congratulations to Chadwick International for being Korea's most beloved international school!